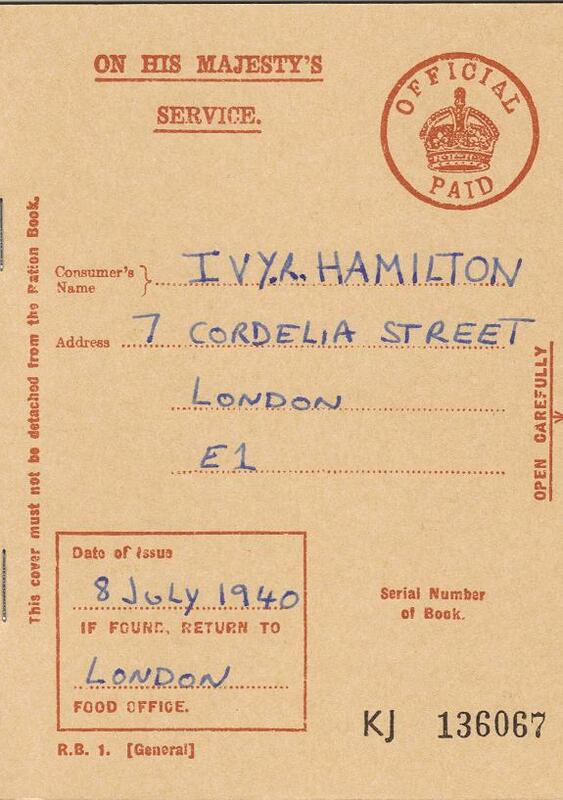 Below you will find some genuine letters written during the Summer months of 1940. 1940 was a very important year. 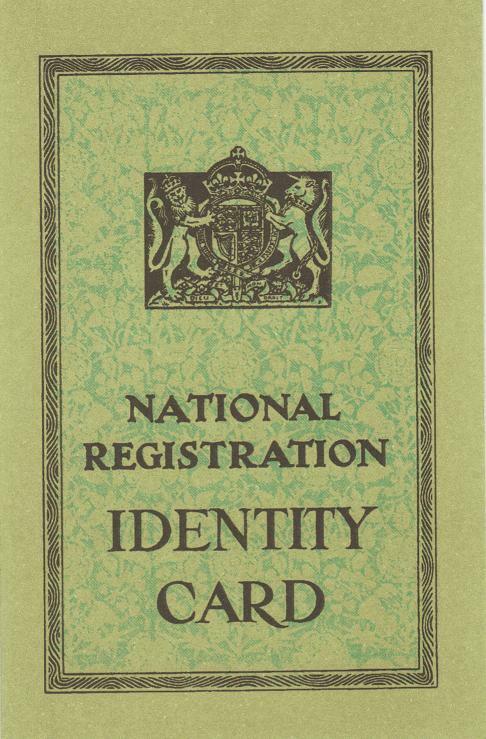 Rationing began, the first bombs were dropped on England, the Battle of Britain (where the RAF fought the German Luftwaffe in the skies over Britain), the fall of Norway, France & Belgium, Dunkirk (the mass evacuation of troops from France) and much more. This series of letters were written to my grandmother during these months and cover many of these important topics. Marthe was born in the town of Charleroi Belgium at the turn of the century, and having survived the first world war, met my grandfather John (known as Jack) at the end of the war. Jack was a Captain in the army and had joined up under age in 1914 at only 17 years old. 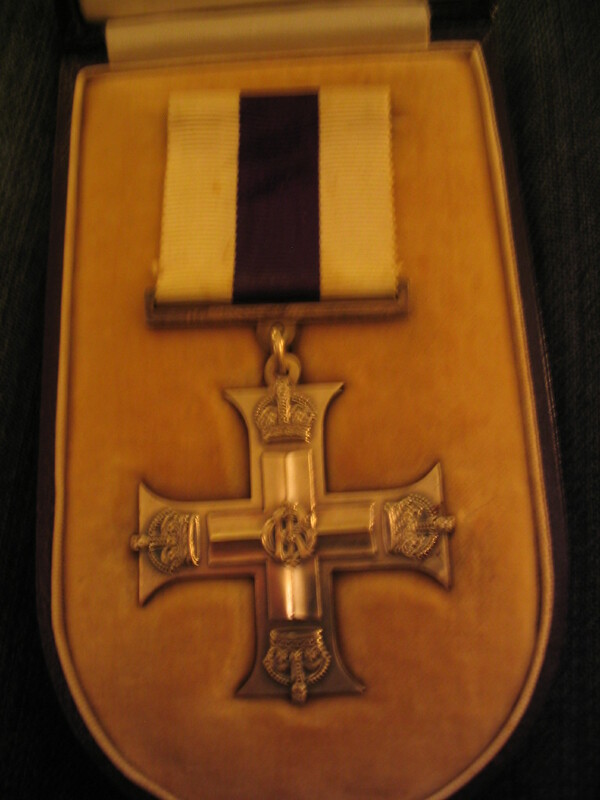 Amazingly he survived the war, receiving a military cross for marked gallantry and determined leadership. They married (when she was 19) and moved to England where they had two children. During the Second World War Jack worked for the Treasury, and later saved the country lots of money and received an MBE & CBE for his work. They lived in Cheam in Surrey (SW London) but Marthe, Jack and their 2 children moved to Harrogate in Yorkshire at the start of the war as Jacks job moved there. Jack became a member of the Local Defence Volunteers (LDV), which later became the infamous Home Guard. He was their Captain. Many First World War soldiers became members of the Home Guard. 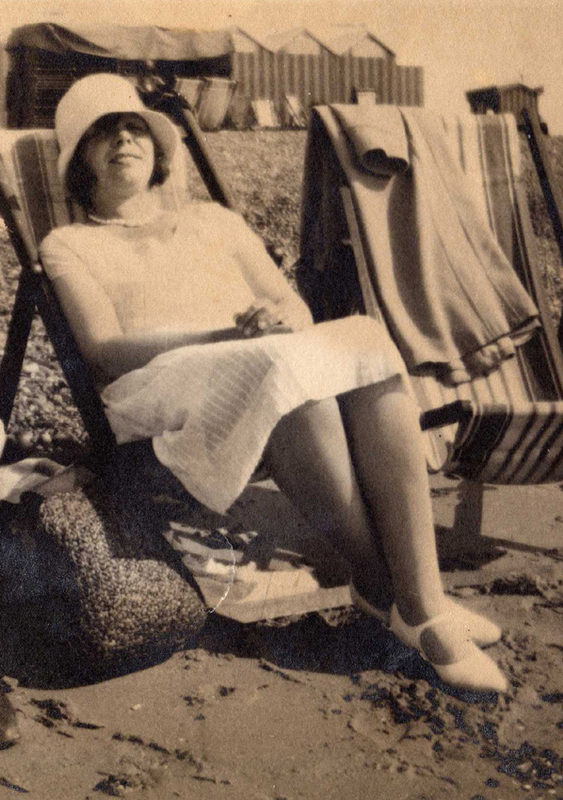 Marthe missed being in Cheam and her friends sent her letters about life in the area. Below are extracts from some of the letters arranged in date order. Most are from women. I was awfully pleased to get your card and address yesterday. I had been wondering since you left Cheam how things were going, and thought about you many times when the ghastly news of last Friday came over the Radio (Belgium was invaded on Friday 10 May 1940). Poor Belgium, going through hell once again, you must be very distressed. It’s terrible to visualise the destruction and chaos of beautiful country such as the Ardennes, and lovely cities, especially when, so far since September they have been free of the horrors of war. “We have been thinking such a lot about you and know you must be feeling very sad indeed. I hope you will have been able to get news of your people. Things have happened so quickly during the last fortnight. One thing after another. We can only hope and pray that we shall be able to wear down their strength and resources….. I had a very nice week at home with my sister – I was away with the children when you moved, but the house seemed very strange without mother. We went out quite a lot though. I don’t know when I shall see them again. As of course they will not come up here at present. I think we all rather cling to our own homes…. “We have seen Norman today for one hour…. He is much thinner and does not look so well as last time. I think he might go to Egypt. But we can only live day by day, not knowing what tomorrow will bring forth. Elsie is ready for ambulance driving night or day apart from her other duties. …. Robert has had his usual hair cut and I have some pills for him in case of any trouble. They won’t harm him just make him drowsy and steady his nerves (bromide). What did you think about Dunkirk, truly wonderful was it not. I pray for another miracle like that to happen in France. I often think of your father and brother and how worried they must be. At Waterloo today, we saw many Italians under armed guard, it’s very sad to see all the boys going away. I’m glad I’m not often in the town to see it. And now Marthe dear do write so many of mine ask for you every time I see them. I would like to give them some good news of you. 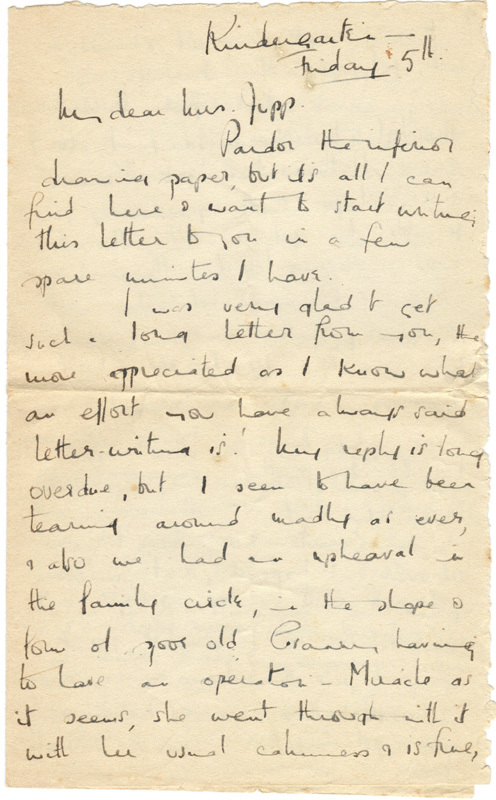 “I was very pleased to receive your letter, I had thought a lot about you and wondered if you had had any news of your people. I don’t suppose your luck is any better than mine though; I have no news either from my mother or father. Two sisters and children, not from my brother or his wife; I heard a fortnight ago from my brother in law who was then in the department of Seine & Oise (a part of France near Paris) that my sister (the one you know), her mother in law and aunt, had flown from Amiens ( a city in Northern France, 120 km North of Paris) walking 45 km on foot under heavy bombardment and machine gunning they then stayed for a day or two at a farm and from there they were evacuated in a lorry to Brittany near (aranches? name is unreadable) . They have had a terrible time! And God knows how they are now being under German rule after all!! Since the 5th of June I have been going every day to Horton Hospital (Based in Epsom) to visit the French wounded soldiers that are there and act as their interpreter, there are some Belgians as well but none I think from Charleroi. One is from Givet and knows Charleroi but of course he has no news. “Thank you, yes, Gran is very much better (She had an op for a hernia) and now dresses, and uses her sitting room, but does not yet come down. She once more listens to the Radio and reads newspapers, and took the French business calmly, as she takes everything.. No my dear, this child (?) will never see 86, and but for the fact that to see a new Europe either Nazified or communised how it works, doesn’t want to!?? “Your position evidently remains very uncertain, and I do hope you will soon know something definite. I gather from Marthe’s note that she would rather be back in London. I am sorry that things have not turned out better for you up there. We have certainly been fortunate in this area as far as raids are concerned. In my last two letters I asked if there were news of those in Belgium, as we are very interested, and hope to learn of their safety, but as you made no reference to them in your letters, I take it there is no news yet. I hope you will hear good tidings soon. “Have you any news of your father and brother I hope so. Doris my niece stayed here for a few days then returned to Bognor with her school children. We have many raids sometimes 6 a day. I do not mind day time it’s the nights I do not like, last night it was bad 8.45pm until 5am. From the front of this house all the sky was an orange glow, it was fearful Marthe. I phoned Dorothy this morning , she is so brave they sleep downstairs , then she has the 3 little boys all together. Phil came home Tuesday and of course he has had last night and today a very stiff time. He can not leave his ship on account of the fires etc. He managed to phone his uncle and he let Dorothy have the news, it seems to me he has been up and down the channel all these bad months and then to fall into that trouble of course you know it was the docks where they fell. If Phil gets back to India he will stay there for a long time, he on return is taking up his command at last. Marjorie (Dorothys sister) lives at Croydon, had all her windows and doors blown out last week. Mrs Smiths mother had the same and roof. Norman came home last Sunday and returned on Friday evening. In one raid they had been machine gunned, 2 of his men died and 10 injured whilst out marching, so it seems to me no-one is safe anywhere, but Marthe still I think Hitler is now cornered. We shall still have to suffer for a time but do you remember the miracle of Dunkirk after our day of prayer? Well we shall see again another miracle shortly. We have only ourselves to defend, not other countries and we or our men will do it. Every time I see the air men go over, I say God Bless You! Don’t you think they are all brave and wonderful…. Robert is fine in the raids, he sleeps all the time. Have you heard lately from Aggie. I think of her so often at Portsmouth. Mrs Rendall writes to Norman and she says the raids are bad there. They had not used the railway for a fortnight. Fancy dear sleepy Wroxhall (No such place exists, this must be a typo) bombed, I would like a long letter from you soon, not postcards. I do not like them. My nephew Eric had a bad time at Croydon trying to put out the fires. And now Marthe I had better conclude or you will be tired reading all this. But we often speak of you. I seldom go out these days. When a raid is over I hurry to the shops before another one comes. One day George and I did go for a walk on the downs. We spent an hour in a military dug out so we do not go out now. “What absolute rot one does hear talked about doesn’t one, and the awful fickleness of the public. Not a word could one say against that fool Chamberlain (the Prime Minister at the start of the war) before the change of Government. ‘He did his best’. The sort of man the British can respect, etc etc. Yet as soon as he was off the throne, over went opinion, and there were the same people saying ‘Good old Churchill, he’s the man we want’. O Gosh, it makes you sick, it was just the same over the Duke of Windsor business (Edward VIII married an American Divorcee called Mrs Simpson and abdicated his throne for her in 1936. Our current queens father then became King). Adulation turned to hate overnight. I have just been reading a most interesting book, you may know the man, Douglas Read, a journalist (considered to be slightly anti-Semitic). The title of the book is ‘Disgrace Abounding’, I think you’d enjoy it, although it makes you withe to know that inside information was available and given to the Government though they were blind to obvious facts and saw not Fascism as the awful danger to peace, but the Reds – Time has proved a different and lamentable story ? France, think of it, it’s ghastly, and we shall never get the truth in letters from friends, when if they do eventually write fancy letters subjected to a Nazi censorship. Have you news from Belgium yet? It is a pathetic state of affairs for you, and believe me, you have all my sympathy, though its useless I fear and doesn’t help in the slightest. There are many blue suited wounded walking about Sutton (the military wounded wore blue suits so people would know they were wounded and not cowards), the workhouse having become a Military Hospital, in fact there is a new scheme Gordon is wangling people for, to teach Art & Crafts to wounded; voluntary need I say. I’ve let myself in for it and Mrs Masters and others from the school and staff, but am now scared stiff of having to walk into a ward full of men and say ‘Good afternoon BOYS (grin on face): this afternoon we are going to make a Felt Elephant!’ (Gordon’s idea, so nice to send home to the kiddies, don’t you know!!). ‘Here, you come and sit on the bed miss’, would be more their line I feel! But anything to help relieve the boredom, poor devils, and it will be more constructive than embroidering wretched little silk crests as they used to in the last Glorious war to End Wars. Heavens, time I stopped this rambling, but you asked for it you know. I’m right off meat now by the way and eat masses of rabbit food each day. Lettuces from the garden, and more to come, and cabbages, sprouts etc. Growing well, so I hope that swine Adolf doesn’t put a bomb on the lot. How is your garden up there, and have you chives still? 2 ounces of tea, rather grim isn’t it (the allotted ration per person per week at this point in 1940), still there’s always lots of coffee, anyway at present and cold waters a good drink (did you know?) so why worry. My dear, I must tell you, I was so pleased, I bought 4 & a half yards of cotton at 9 & a half (ounces?) Friday, Gordon, cut it out and had it finished on Sunday, and wore on Monday. Not bad for me is it? of course you’d see faults, but at least it’s up-to-date and contemporary in design, and everything else was so dowdy I felt even duller than necessary. Stimulating people and circumstances NIL now-a-days, but than God I always felt solitude a blessed thing and can indulge it ad infinitum. “Your Post card I got today, & once again start to write you another epistle. I am down here from 6-9 in the evenings, but not for long I hope: It’s now 8.20, the clinic & laboratories and nurses and everyone have gone home and I have to await first the yellow warning on the phone, followed by the frightful sirens, and somehow then endeavour to get home before any activity above starts in this neighbourhood. No, I frankly feel all weak at the knees, and old heart thumps fast and loud ? I suppose we get used to most things in time, but now my impressions are that life and air raids are just bloody awful. Pardon the French! I know you will. So you still want details? Well, to see this great fiery glow in the sky on Saturday night and to hear it was the Docks etc was a grim experience. I personally was at Dorking, and for 2 hours, like fools we’d been sky-watching, until suddenly 2 woppers fell, in what seemed like the garden, and in we all dashed, to remain there, and sleep on ground floor. Actually, it was poor innocent little Westcott, for the second time, do you know this small & attractive village on the road to Guildford, just after Dorking? “I hope last nights effort was not too scatty and disjointed. Am once more at the Blood transfusion place and 24 hours have passed. After Churchill’s speech last night, one has expected to hear the church bells ringing anytime today. That invasion is imminent could hardly have been said more plainly I thought? oh well, one can’t think or feel any more these days, and certainly there’s nothing to be done by the mere civilian but just sit tight and wait, so this is 1940. The appalling thing is that war and raids seem to monopolise all conversation, and in letters there’s nothing else one writes about. Art, books, and music go into the background, and the only thing creative one does is to knit, knit, knit, and to always carry it with you, to while away the time during raids. No my dear, you stay where you are. Much as I should like to have you back in Sutton, I feel you’re in a better place for the moment, and for your children to be where it’s calm and normal is a great thing. Surely the Government aren’t moving back to London now? It’s crazy. Why, offices, flats, hospitals in every district of London, be it Whitechapel or Chelsea, Hampstead or Lambeth, are all getting it, and I can’t see how business and industry can go on. Must be absolutely ghastly for the shops. (Home again). I got one of the blokes at the clinic to run me up in the van immediately the yellow went up. So tonight I sleep with mother on a divan in the front room. Poor old Gran is on a couch in the back, Emily on a pull out bed in the kitchen and Pa somewhere else. The cats show complete indifference and are out always on night duty, but Dizzy is very restless and mooches about most miserable. Mind you, the noise last night was certainly terrific, from this new Ack Ack Barrage, and sleep was pretty impossible, but the general impression is that it’s about time we made it hot for Fritz (nickname for the Germans) at night time, so let’s hope it does some good! I suppose you want to know last nights local damage! A bit down by St Barnabas Road (the Roman Catholic church, remember? Is in that road, and round by the trolley bus route. 1 death and a few casualties and some blood called for by the Sutton Emergency Hospital, that is the old workhouse up the Bright Road. I saw poor old souls with belongings and eiderdowns etc on a pram waiting to go into a temporary rest place, or whatever these provisional temporary homes are called. Isn’t it just damnable. I am wondering if the Art School can possibly open. It was going to. We carry on at the Kindergarten in a kind of haze, especially the underslept staff! But I must say the kids are wonderful and treat the war and air raid shelters as one big joke! Even though their lunch time milk doesn’t always get delivered to them! Using the information in the letters above, your own knowledge, what you’ve learned at school and from the Happening History display, why not write your own letter as if to a friend in another part of the country. You could base it around your own life and family. 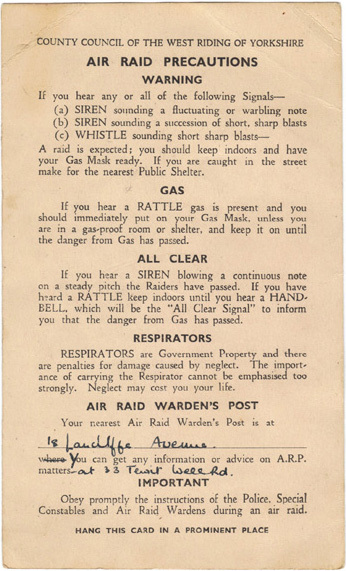 Perhaps your father is an Air Raid Warden, or your brother has gone off to join the Royal Air Force and spends his days battling the Luftwaffe downing enemy planes. How are you coping with living on reduced rations? Perhaps you can imagine that a bomb fell near your house. So you shelter in your house like the people in the letters or perhaps in a proper Anderson shelter? How do you while away the long hours in the shelter? How does the war make you feel, scared or defiant? Try to think how you would feel if you really were in the situation of these people. Perhaps someone you know was a child during the war, a grandparent or elderly relative? Maybe your parents can tell you stories about your own family during the war. Maybe your great grandfather served in the Navy or was a pilot in the RAF. Ask if they have any photographs of relatives from this time or perhaps they even kept a diary of their experiences. 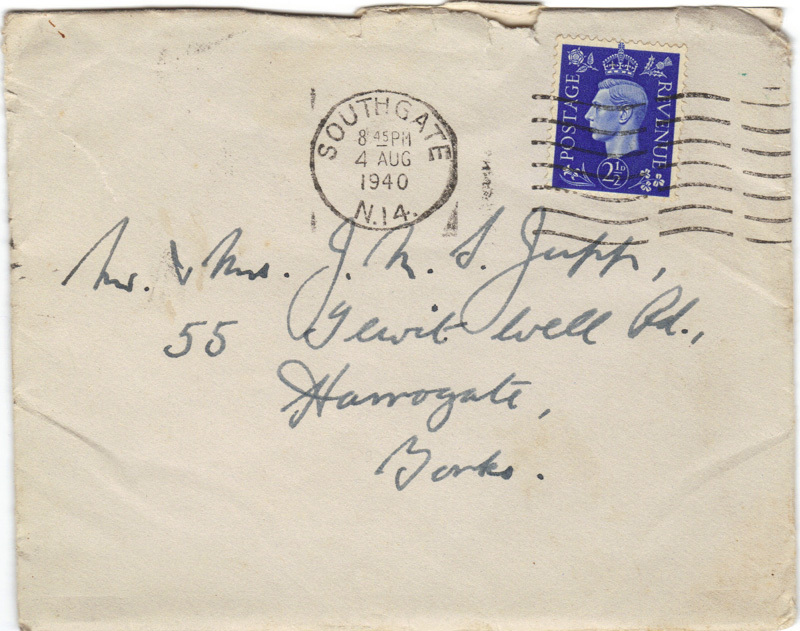 Maybe you’ll even find family letters from the wartime in your own attic….